Rupa Goswami says lobha or greed – eagerness is the price for getting that higher taste. That means as an austerity we are enthusiastic. Oh! Yes I am hearing it again wonderful! The more I hear it, the more I am going to realize it. The more I hear it, the more I am going to aspire to achieve it. And we pray to Krishna, we take shelter of Krishna, when we are hearing. If we are eager to hear, everything we hear is ecstatic. 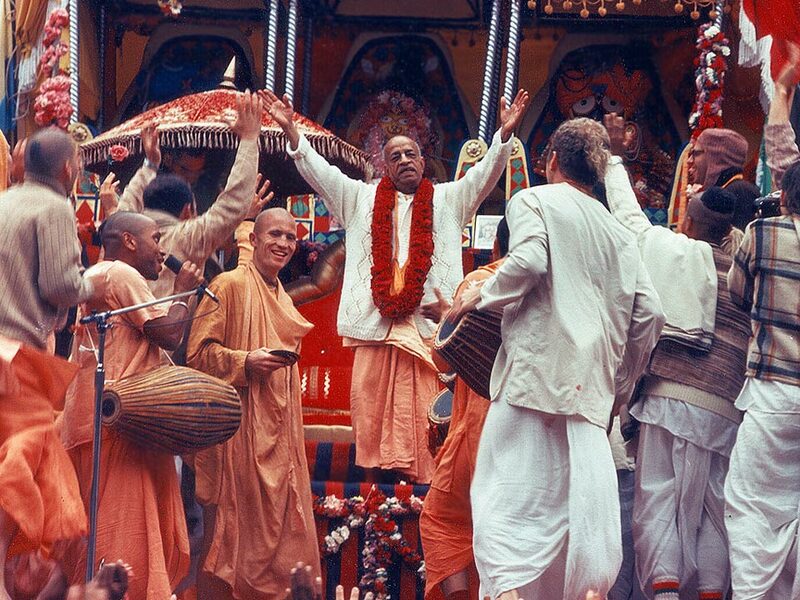 Krishna is non- different than Hari-katha and Hari-kirtan. He reciprocates according to how we approach Him. If we are eager to hear, than in due course of time it’s going to taste like nectar. If we are not, we approach Hari-katha as something ordinary, it will appear ordinary to us. Even when Krishna was here in this world personally, everyone saw Krishna according to their particular mood. In the wrestling arena, in the ranga-bhumi of Mathura, the wrestlers saw Krishna as a big wrestler, Kamsa saw Him as death personified, Yogis saw Him as Paramatma, ordinary people saw Him as an ordinary man, young girls saw Him as a Cupid, cowherd boys saw Him as a friend and the devotees saw Him as the Supreme object of their worship. So, similarly, if we are eager to hear, and we practice cultivating that by coming to the classes, by reading the scriptures, gradually we develop taste by Krishna’s grace. That higher taste does not come simply by our endeavour. It comes by Krishna’s grace. If Krishna just sees that we really want it, and we are practicing sincerely, then Krishna gives it. We should have faith; we should have complete faith that Krishna will give it. And we have to be very enthusiastic to hear about Him, enthusiastic to chant His holy names, enthusiastic to serve the Vaishnavas, and at the same time patient. Whatever time it takes, it doesn’t matter. Krishna makes His promise; all the acaryas have confirmed His promise. It is for sure. This is our golden life. We cannot achieve it by our practice, but by our sincerity of our endeavour, we can attract Krishna’s grace. And by that mercy alone – Srimati Radharani’s mercy, we are given Bhakti. INDIA. It's probably one, if not the only country in the world that has drawn a number of pilgrimages for several religious practices.Radhanath swami has been taking devotees of Lord Krishna from India, America, Europe and Russia to holy places within the Indian subcontinent like Vrindavan, Mayapur, Jagannath Puri, Dwarka, and other holy places in South India. Devotees find these yatras with Radhanath Swami so rejuvenating and inspiring that the number of attendees has increased from only 20 devotees in the year 1986 to 4500 in the year 2011.On this website we provide you a facility to journey the holy land of India through sound vibration and wonderful articles of Radhanath swami. © 2019 Radhanath Swami Yatras. All rights reserved. Theme by Solostream.